Jan and Kate Sousa are a mother-daughter team who have been riding and raising Tennessee Walking Horses for the last 33 years. Jan, the mom, was given a big paint gelding when she was eight years old and has been riding ever since. After riding her first Tennessee Walker twenty some years ago, she immediately switched to Walkers, marveling at their smooth ride and wonderful disposition. She trained all the family colts to safely carry their family of six and all their camp gear into the wilderness for family vacations. She still prefers starting the young horses and preparing them to be honest, safe trail companions, or working with problem horses. Kate literally grew up on Walkers, starting to ride in front of her mom and dad, Mike, when she was a two year old. 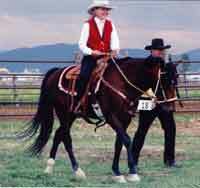 When she was eleven years old, she began training her first weanling, Bleu, Baron’s Bleu Gold. The summer of Bleu’s second year they were winning high point awards in competitive Tennessee Walking horse shows in the Pacific Northwest. Blue ribbons were won in versatility classes, and trail obstacle, as well as rail classes. The ultimate was when she and Bleu went to the International Walking Horse Show in Tennessee and placed well in every class,and winning Championship in the amateur owned and trained class against 23 entries. After starting with Bleu, Kate has raised many young ones, she also has a wonderful knack for developing their timing, with a big, natural head shaking, ground covering running walk. 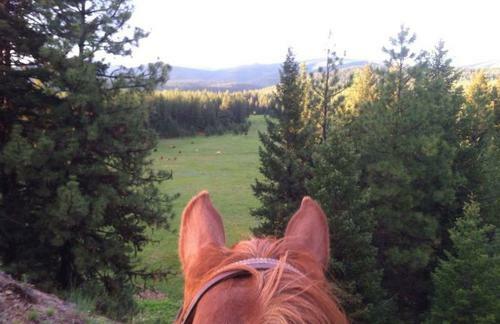 The Lazy Sousa Mountain Meadow Ranch is over 600 acres of meadows, creeks, and mountains, bordering thousands of acres of state and federal land. Our foals grow up with lots of room to play and develop. They follow their mothers on the trail and over obstacles. 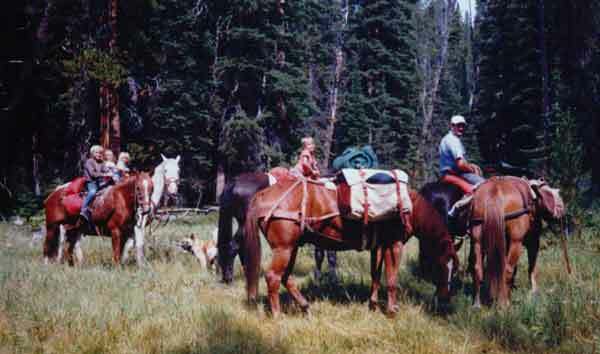 As 2-3 year olds they explore the mountains with their riders.